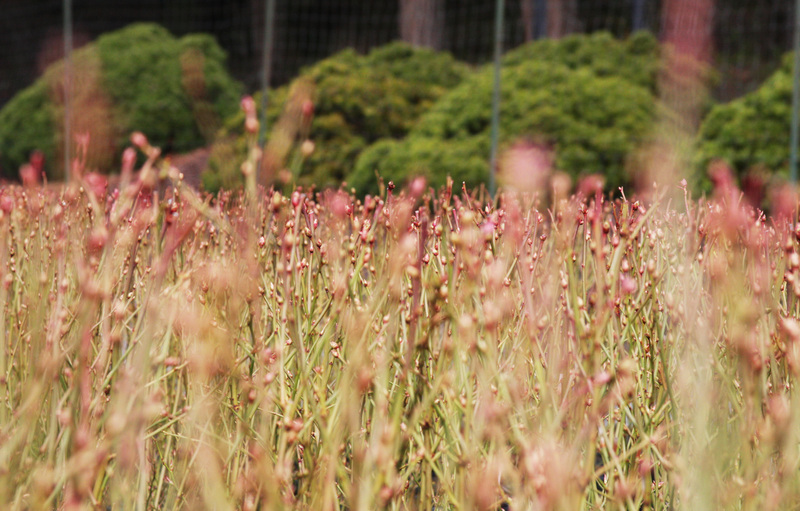 When you buy a blueberry plant at a nursery, how do you know you’re purchasing a quality plant? And if you own or work in a nursery, how do you know your supplier is sending you healthy, vigorous plants? Edibles have been trending in the nursery market over the past few years, and some suppliers may lack the knowledge or care needed to grow quality plants, or cut corners in order to quickly cash in on this trend. There are ways to determine the health of your blueberry plant; the following are a few components to look for. A quality plant will be well-branched, which results in a higher volume of fruit and a balanced shape. Shearing a young blueberry plant several times allows the plant to create a fuller branch structure. Plants that are rushed to market too soon may not have been sheared at all, resulting in a plant with only a single cane and no branching. Fewer branches means less fruit, as fruit buds grow only on the tips of new branches. Ideally, the plant’s canes will be sturdy and volume will be consistent with its height. 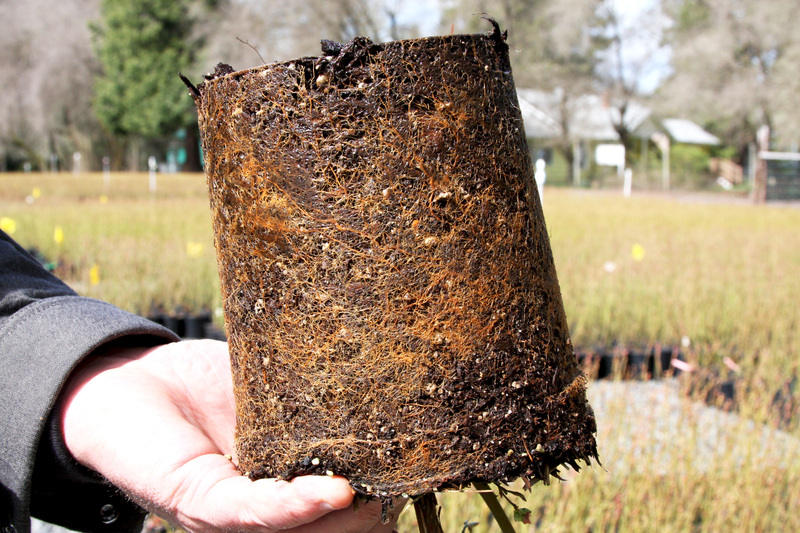 The quality of the root structure is indicative of how well your plant was cared for before it reached the nursery. A quality finished plant will have an even root system, as shown in the photo to the left. The roots will emit a slightly sweet smell and there will be no rotted or dead roots. How do you know if the roots are rotting? Go ahead, give your plant a good whiff – does it smell sour? Hopefully, the only detectable odor is the sweet, subtle aroma of spring. If you do smell something funky, the plants may have been grown in areas with poor drainage or stagnant water, which causes not only rot and kills roots but also spreads disease.